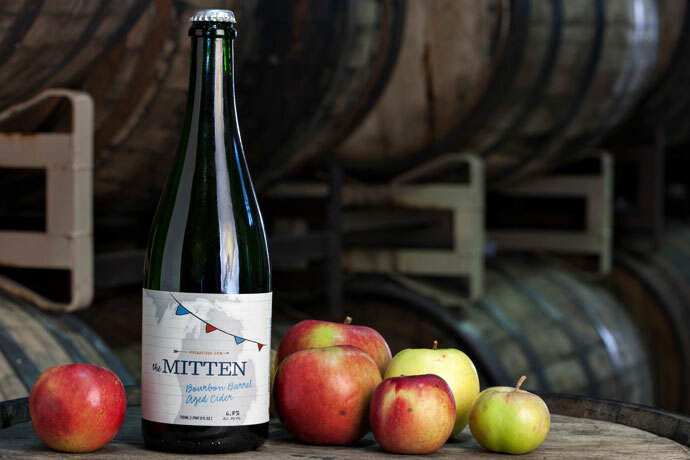 In the growing world of hard ciders, there are those named “The Mitten,” and there are those named something else. This is about the mitten one. Because that’s a damn wintry name. It comes from Michigan-based Virtue Cider, and it’s a seasonal release that blends bourbon-barrel-aged cider made from last season’s best apples with a good crop of fresh-pressed apple juice from this season. So it’s got that buttery, oaky, caramel-vanilla-spice thing going for it. But it’s also got that refreshingly dry, high-acid apple thing going for it. Which is to say it has a lot going for it.